LinkedIn, the world's largest professional network, launched “Recruiting In The Philippines: A Special Report On The Philippines’ Skilled Workforce And How To Attract Top Talent” based on a study of more than four million professionals and over 19,000 active companies in the Philippines on LinkedIn. Driven by rising infrastructure spending, domestic demand, and the business process outsourcing (BPO) sector boom, the Philippines posted a 6.4 percent growth in the first quarter of 2017, continuing its seven-quarter growth streak. LinkedIn report reveals that while robust economic growth is creating better quality and higher paying jobs, it is also hastening the need for a more industrial, innovative, and digital workforce. The study unveiled the top ten most hired occupations on LinkedIn. Sales professional, software developer and customer service specialist emerged as the top three most hired occupations. This also reflects the country’s growing demand for skilled talent and fastest growing sectors – particularly in BPO representing a range of industries including IT, outsourcing, education, banking and financial services. A deeper analysis of the occupations revealed that changes in the technological and economic landscape have considerable implications on businesses and skill sets required. 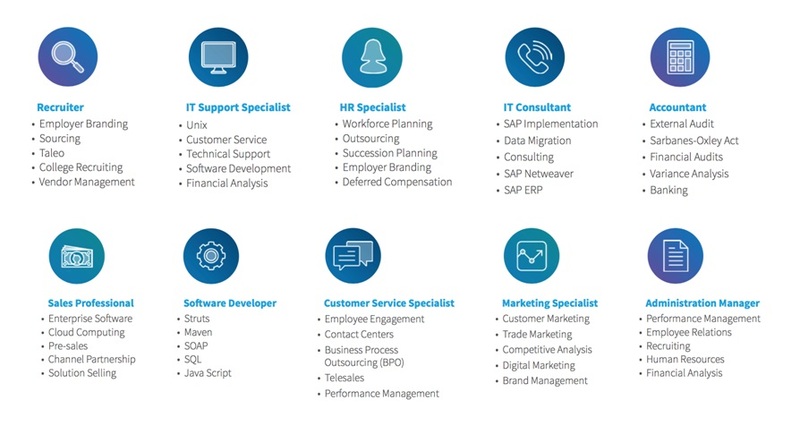 For example, the most in-demand skills for a sales professional are enterprise software, cloud computing, pre-sales, channel partnership and solution selling. The early days of BPO industry of handling customer complaints, telesales and data entry and administration have evolved dramatically. "Much of the boost to the Philippines economy is attributed to the BPO industry. As the sector matures, the demand for skills such as digital marketing and IT is on the rise. For job seekers, it is no longer adequate to just possess technical qualifications but they need to diversify and strengthen their skill sets. This also spells tougher competition for companies looking for talent with the right skill competencies, as well as an aptitude for continuous learning," Feon Ang, Vice-President, Talent and Learning Solutions, Asia Pacific, LinkedIn, said. "With an upwardly digital and relatively young workforce in the Philippines, employers need to go online to connect and engage with them. Young professionals are keen to understand their employers’ company purpose, as well as work culture. Hence, a strong employer branding is imperative to attract and retain the best people,” Ang said, “While traditional recruiting methods are still relevant, more companies are reaping the benefits of adopting online and digital platforms, connecting and engaging with job seekers at scale." Of LinkedIn’s four million members, more than 60 percent of them are between the age of 25 and 35. They use LinkedIn to seek professional insights (54%), connect and communicate with their network (49%), research companies and people (44%) and search for new career opportunities (37%).